The New York State Board for Historic Preservation recommended adding 17 properties, resources and districts to the State and National Registers of Historic Places. One target area that is recognized as having contributed to New York’s diverse history is in East Harlem. Sign up to Tour East Harlem’s first Historic District on The Municipal Art Society’s Jane’s Walk this May. 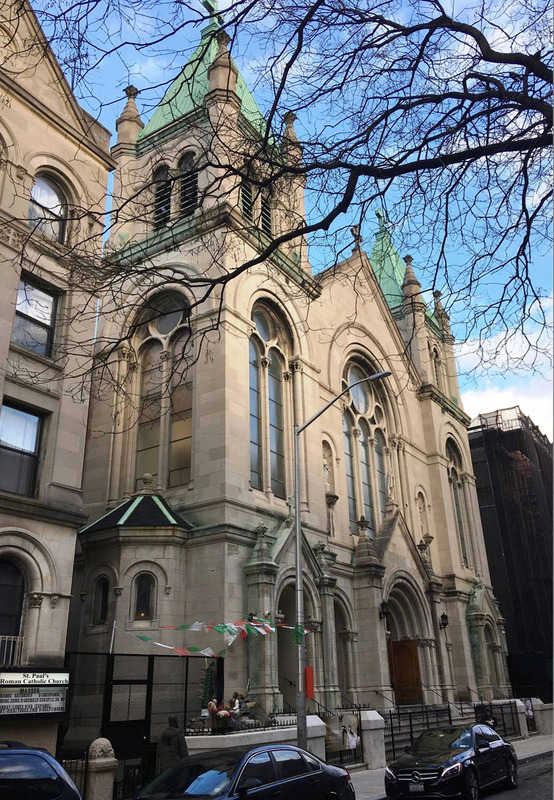 The East Harlem Historic District is significant for its association with the Jewish, Italian and Puerto Rican working-class immigrant communities that occupied it successively from the mid-19th to the mid-20th centuries and lent their names to the area. East Harlem has been known variously as Jewish Harlem, Italian, and Spanish Harlem or El Barrio. 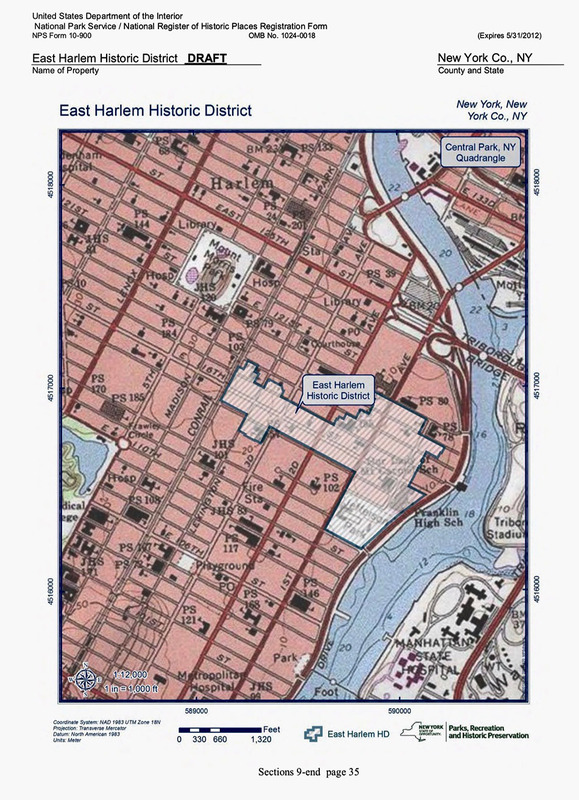 The proposed Historic District, taken from the document (U.S. Department of the Interior, National Park Service/National Register of Historic Places Registration Form): The boundaries of the historic district cover a more discrete area focusing on Pleasant Avenue and East 116th Street, an area which includes significant institutional buildings, encompasses the central history of the area, and includes the most significant intact groupings of historic building stock. Because so much of East Harlem has been rebuilt with enormous housing projects, the historic district boundaries focus on the area along East 116th Street and along Pleasant Avenue, which retains the 19th-century building stock associated with the ethnic and working-class history of East Harlem. The western boundary of the district is Park Avenue, above which rises the viaduct of the New York Central Railway which effectively separates most of East Harlem from the bulk of Central and West Harlem. The area directly beneath the viaduct, once known as La Marqueta, lies outside the boundaries because it has little historic fabric left from the original market and because it has its own history related to, but separate from, the area to the east. The southern boundary is marked by a set of housing projects on superblocks stretching from 115th to 112th Streets from Park Avenue as far east as First Avenue; a notch in the boundary on the south side of 115th Street includes three public buildings that relate to the proposed historic district. East of First Avenue, the southern boundary wraps around Thomas Jefferson Park along East 111th Street and then north along the F.D.R. drive, where it continues as the eastern boundary. The eastern boundary runs along the F.D.R. Drive, adjacent to the East River, as far north as 116th Street; it jogs in from 116th to 119th Streets east of Pleasant Avenue, excluding a large new multi- block commercial development. The northern boundary runs along East 120th Street – south of another large housing development – as far west as Second Avenue. It then drops down to East 117th Street, where it continues west to Park Avenue. The blocks north of 117th Street and west of Second Avenue have been heavily redeveloped in recent years. The document goes on in great detail describing the character of the district; commercial, institutional, civic and religious buildings; the district today; building types and styles ~ with emphasis on row houses and flats; and early history and development. The district’s period of significance – 1865 to 1966 – covers a century of the neighborhood’s historical and architectural evolution and its post-Civil War development as an immigrant community. 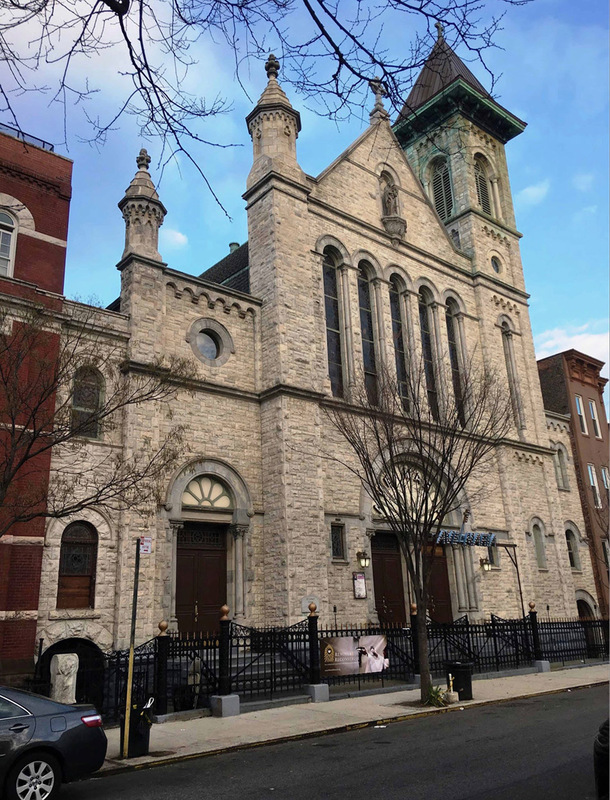 It ranges from the date of the district’s earliest surviving structure, a mansard-roofed town house, to the date of construction of Our Lady of Mt. Carmel School, the last significant institutional building constructed in the neighborhood older than 50 years. The period of significance encompasses the decades of immigration, the changing tides of immigrants from Eastern European Jews to southern Italians to American citizens from Puerto Rico, and specifically the period during which the neighborhood known once as Jewish Harlem and then informally as Little Italy gradually came to be known instead as El Barrio. Of interest, was this paragraph ~ “According to historian Robert Charles Freeman, in 1850 East Harlem could count 1500 residents: This was an eclectic group…and included black farmers who had settled along 130th Street in the 1830s and Irish and German immigrants who had moved from Manhattan’s Lower East Side to build their shanty homes out of old crates and jetsam in the marshland of southeastern Harlem. Most shanty residents were squatters who paid no rent and owned no land…. Although such individuals commonly earned their livelihood as rag pickers, knife grinders, or street peddlers, many…also found work in the local fat-boiling and bone-boiling factories and slaughterhouses….” The history within the document is well worth reading. 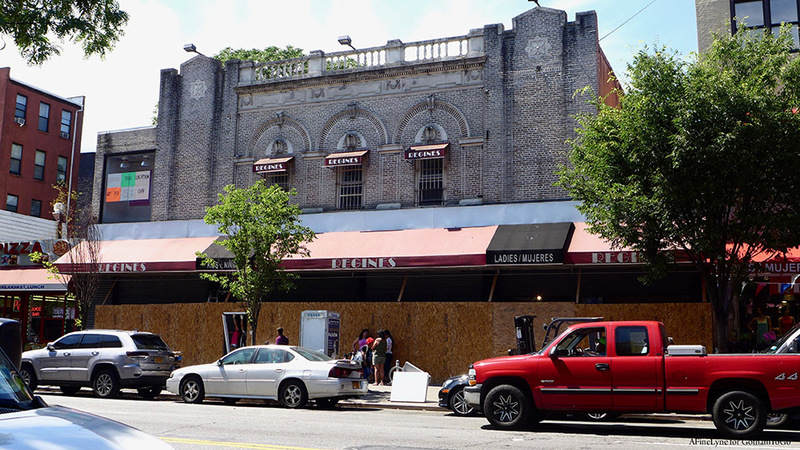 A State and National Registers listing can assist property owners in revitalizing buildings and make them eligible for various public preservation programs and services such as matching state grants and state and federal historic rehabilitation tax credits. Since the Governor signed legislation to bolster the state’s use of rehabilitation tax credits in 2013, the state and federal program has spurred billions of dollars in completed investments in historic commercial properties and tens of millions of dollars in owner-occupied historic homes. The State and National Registers are the official lists of buildings, structures, districts, landscapes, objects, and sites significant in the history, architecture, archeology and culture of New York State and the nation. There are more than 120,000 historic buildings, structures and sites throughout the state listed on the National Register of Historic Places, individually or as components of historic districts. Property owners, municipalities and organizations from communities throughout the state sponsored the most recent nominations. “The State and National Registers listing is a key step forward on the path to protecting and revitalizing these landmarks. 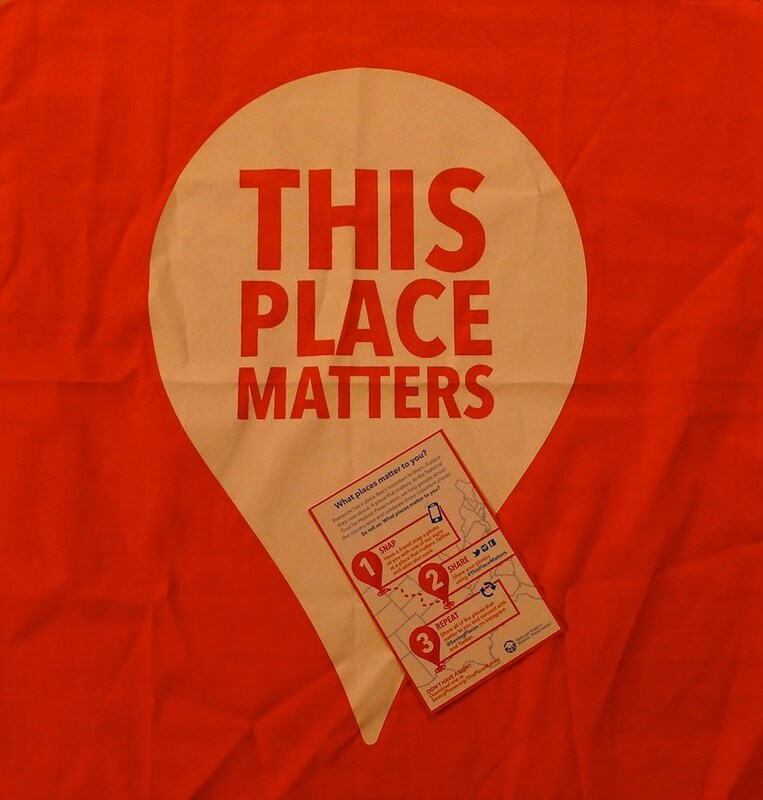 Preserving and revitalizing our historic places helps lift local economies, instill community pride, encourage smart growth, and boost tourism,” said Erik Kulleseid, Acting Commissioner of the Office of Parks, Recreation and Historic Preservation. In addition to East Harlem, the state Board for Historic Preservation also named three other sites in New York City, including St. Luke’s Hospital in Morningside Heights, the George Washington Hotel in Gramercy Park, and Alku and Alku Toinen, a pair of buildings in Brooklyn’s Sunset Park that were the state’s first cooperative housing complex. More information and photos of all the nominations are available on the Office of Parks, Recreation and Historic Preservation website. The East Harlem District includes more than 800 buildings. Stay tuned for updates. 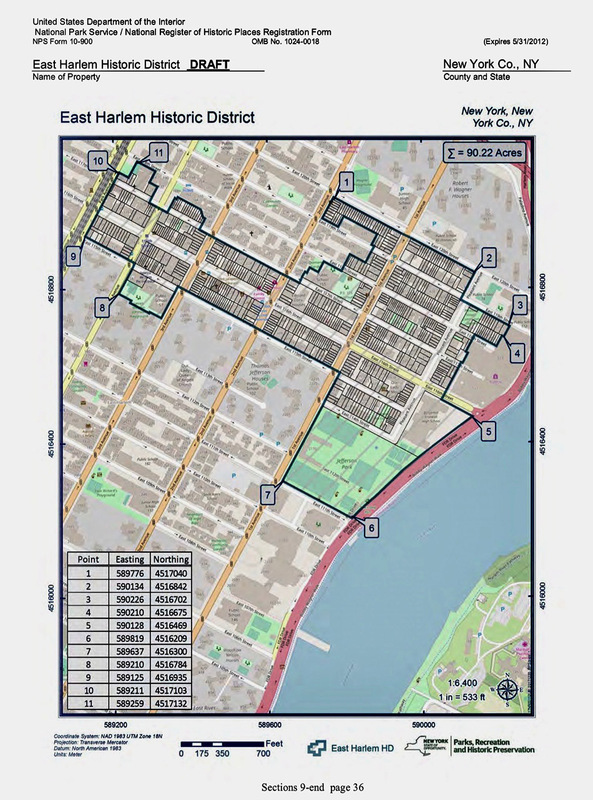 Did you attend the February, 2019 information meeting on the East Harlem Historic District? 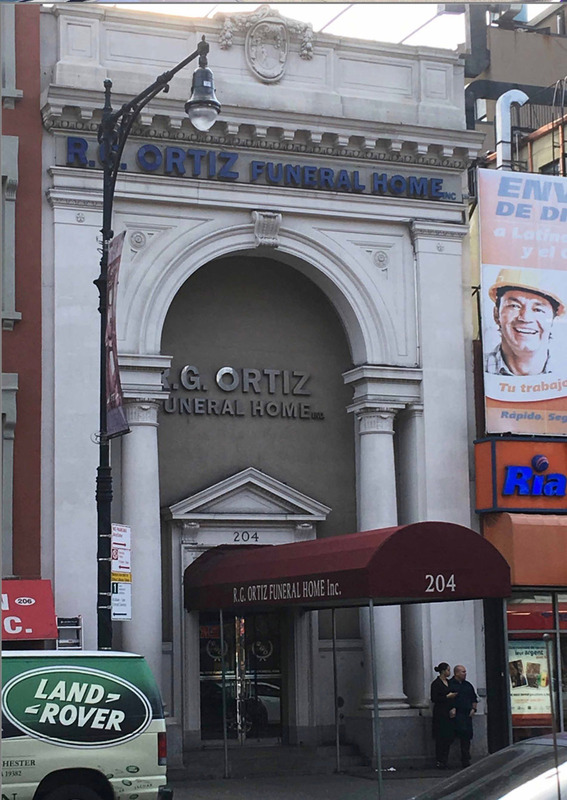 In February, 2018, Landmarks designated three buildings in East Harlem. 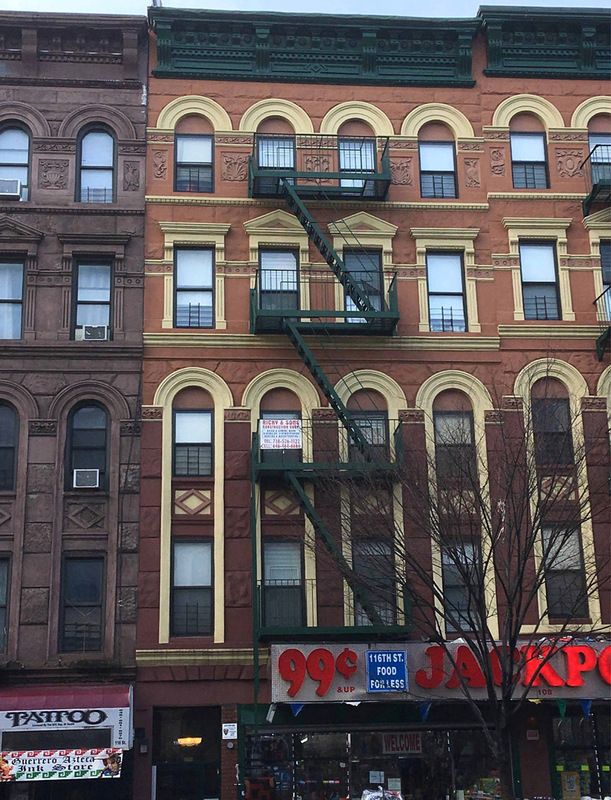 Sign up for MAS NYC’s Jane’s Walk of East Harlem’s first Historic District. 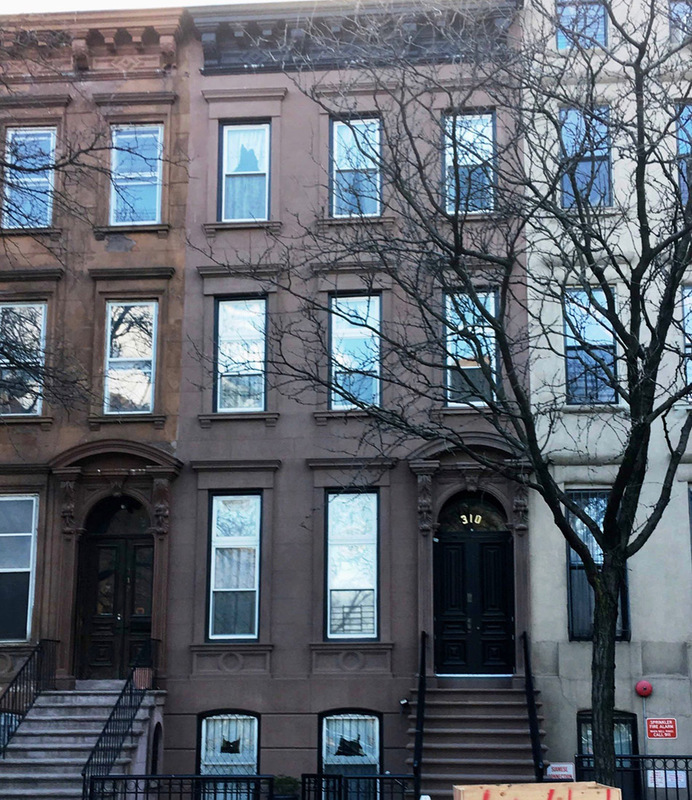 Landmark Preservation recently designated three blocks in Central Harlem. 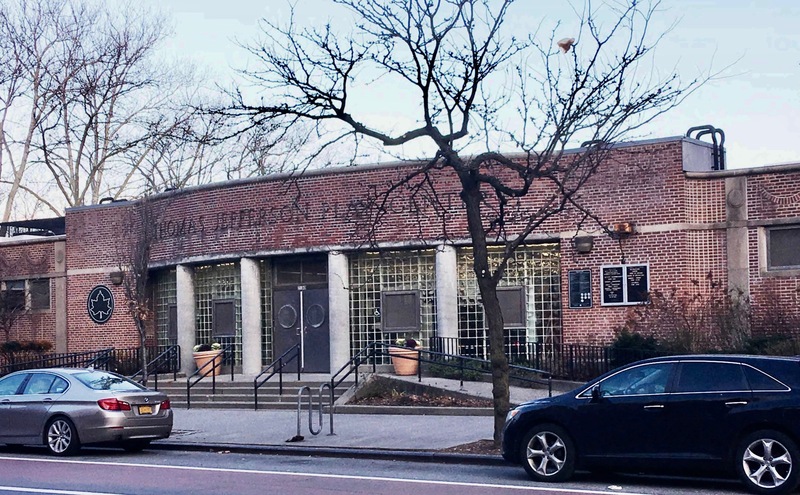 El Barrio’s People’s Church is taken off the Landmark calendar. Previous Previous post: Get Ready for the Annual High Line Hat Party!